H1N1 flu is a respiratory disease caused by the H1N1 influenza virus strain. This virus infects the cells that line your nose, throat and lungs. This flu is commonly known as the swine flu. H1N1 flu was first detected in 2009. Since then, people have continued to become infected and the number of deaths from it is increasing day by day. It is a highly contagious disease that spreads quickly from person to person through air, mucus and saliva particles. Children under age 5 and people age 50 and older are at a higher risk of suffering from swine flu. Other risk factors include respiratory disorders, a weak immune system and pregnancy. Swine flu symptoms are similar to the symptoms of seasonal flu. They include fever, runny nose, sore throat, congestion, diarrhea, chills, body aches, nausea and vomiting. The symptoms develop about one to three days after being exposed to the virus and last for about one or two weeks. As most symptoms of swine flu and seasonal flu are the same, it is recommended to consult your doctor for proper diagnosis, especially if you are living in a swine flu affected area. A laboratory test will help diagnose the disease and timely treatment can prevent complications. People with chronic medical conditions like asthma, diabetes, heart disease, or kidney disease are more likely to get complications due to the infection. Seek urgent medical attention if you experience symptoms like difficulty breathing, persistent vomiting, sudden dizziness, confusion, pain in the chest or abdomen, or if your flu symptoms improve but come back with a worse fever or cough. 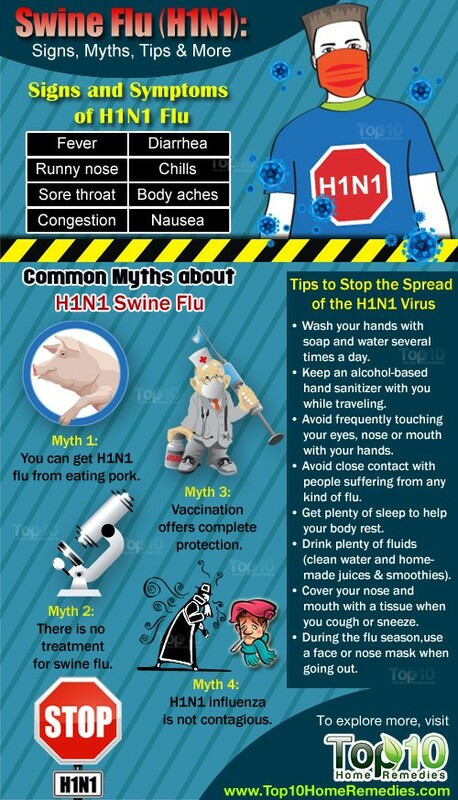 Myth 1: You can get H1N1 flu from eating pork. This is wrong. You cannot catch H1N1 flu from eating pork or pork products. Though similar to the influenza viruses that occur in pigs, the H1N1 virus is different from the swine flu viruses that circulate in pigs. The H1N1 virus spreads through droplets expelled in the air when an infected person coughs or sneezes. When a healthy person comes in contact with the contaminated air or surface, the virus enters the body. Swine farmers and veterinarians, however, are more prone to true swine flu. Myth 2: There is no treatment for swine flu. This is also not true. 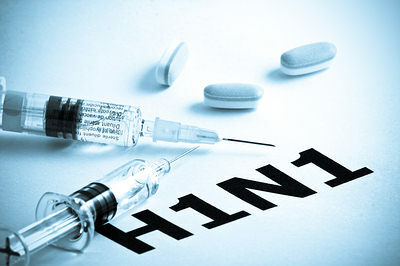 There are antiviral drugs that can help treat H1N1 influenza. These drugs can shorten the duration as well as intensity of symptoms. However, timely diagnosis and treatment is essential to get the most benefits from the drugs. For treating H1N1 flu, there are currently four antiviral drugs approved by the World Health Organization (WHO) – oseltamivir, zanamivir, amantadine and rimantadine. Myth 3: Vaccination offers complete protection. It is true that vaccination can protect you from the H1N1 virus. The Centers for Disease Control and Prevention recommends flu vaccination for all people older than 6 months of age. The vaccine is available from your doctor or some convenience clinics as an injection or a nasal spray. However, bear in mind that the vaccine offers a one-year protection against the virus. Therefore, to protect yourself from this deadly influenza, you need to get the vaccination every year. Myth 4: H1N1 influenza is not contagious. This is completely false. This disease is highly contagious and spreads quickly from the infected person to other healthy persons. The virus spreads through contaminated air and surfaces. To protect yourself from coming in contact with this virus, maintain distance from infected people, regularly wash your hands with soap, wash clothes in warm water and clean your office and house with disinfectant daily. As the total number of deaths due to H1N1 flu is increasing day by day, the WHO has declared the infection a global pandemic. Therefore, it’s important to take precautionary tips to prevent it. Keep an alcohol-based hand sanitizer with you while traveling. Avoid frequently touching your eyes, nose or mouth with your hands. Avoid close contact with people suffering from any kind of flu. Get plenty of sleep to help your body rest. Drink plenty of fluids (clean water and homemade juices and smoothies). 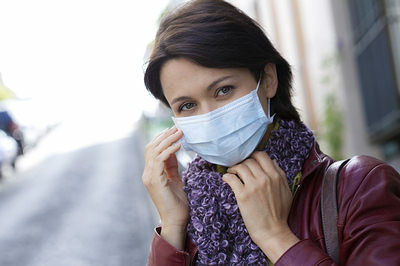 During the flu season, use a face or nose mask when going out. Do not carry around partially used tissues. Once used, throw them in the trash and get a new tissue the next time you need one. If you are sick with flu-like symptoms, stay home and avoid spreading the virus. If you have a fever, place a cool compress on your forehead, arms and legs to reduce discomfort. Use a humidifier in your room to make breathing easier. Gargling with warm salt water will help soothe a sore throat. During the flu season, increase your intake of immune-boosting foods like garlic, Indian gooseberry, ginger, turmeric, aloe vera and basil. Drink a few cups of basil, ginger or green tea daily. Drink 1 to 2 glasses of warm turmeric milk daily to keep your immune system strong. Be active and do some daily exercises to stay healthy and boost your immune system. Important information provided . Every body should get the benefit of such valuable knowledge.